The sun is out, spring is here which can only mean one thing, summer is on its way and picnic season is upon us! I love a picnic, it’s all about grazing, sitting in the sun and grazing as you watch the world go by. Hell, I like any meal that’s about grazing maybe that’s why I end up in the local Lebanese a little too often. 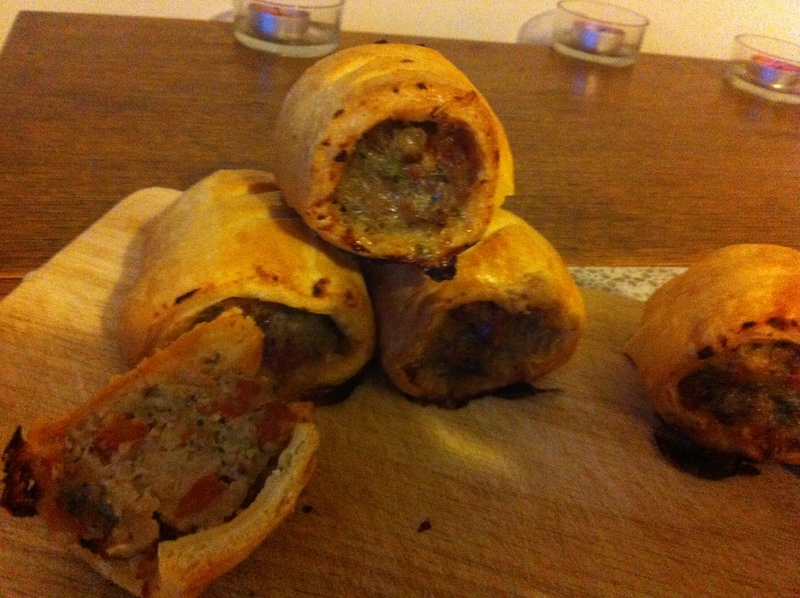 I was inspired to make these fabulous chorizo sausage rolls after an afternoon tea at the Ham Yard Hotel, I had never had them before but combined some of my favorite things, sausage, chorizo and pastry! I immediately went home and started looking at recipes. 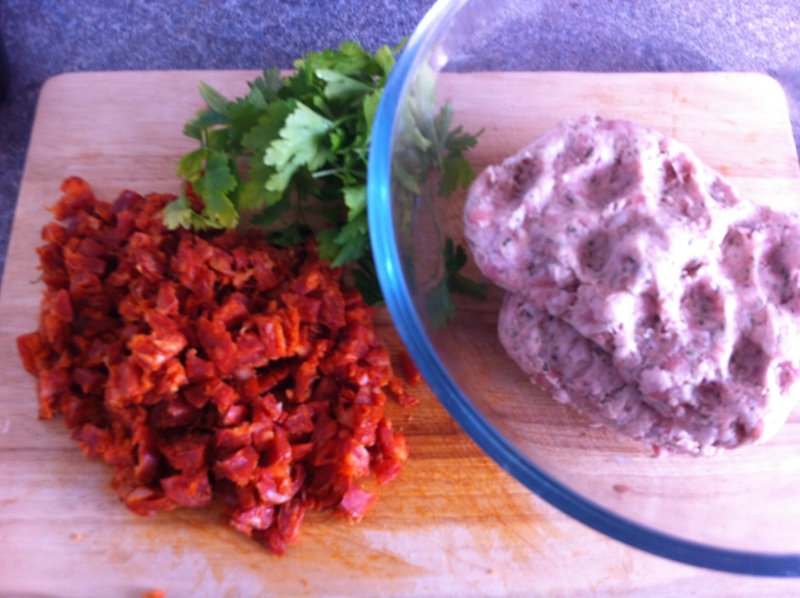 Depending on what equipment you have, you can blitz the chorizo up with the sausage meat or dice, depends whether you want a full on red roll or just chunks. 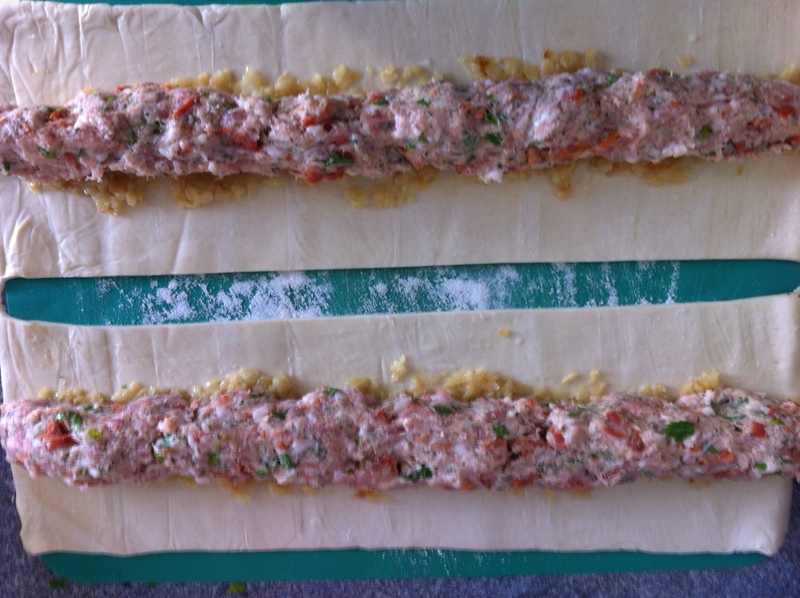 Adding the chorizo just adds another layer to home made sausage rolls. If you get a good quality chorizo you will have those wonderful spices, the deep red running through the meat and of course that sweet paprika smell. This is a fairly easy recipe and the best thing is you can freeze them so you have a supply ready at all times. See no excuse not to be whipping up a batch! 1. 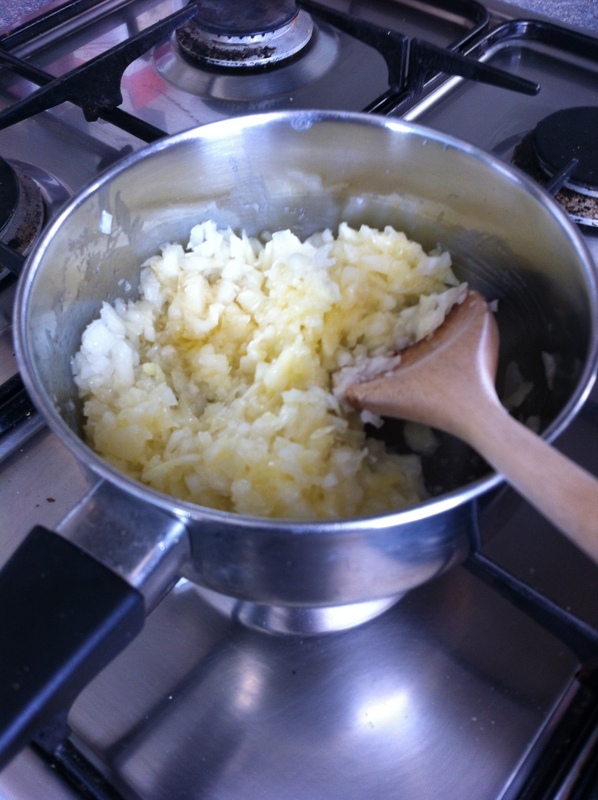 For the filling heat the butter and oil in a frying pan and add the shallots. Gently fry for about 5 minutes until they have softened. Sprinkle in the sugar and continue to cook over a low heat for another 10-15 minutes until they have caramalised. Remove from the heat and allow them to cool. At this point pre heat the oven to 200 degrees/180 degrees fan. Lightly grease a baking sheet and line with baking paper. 2. 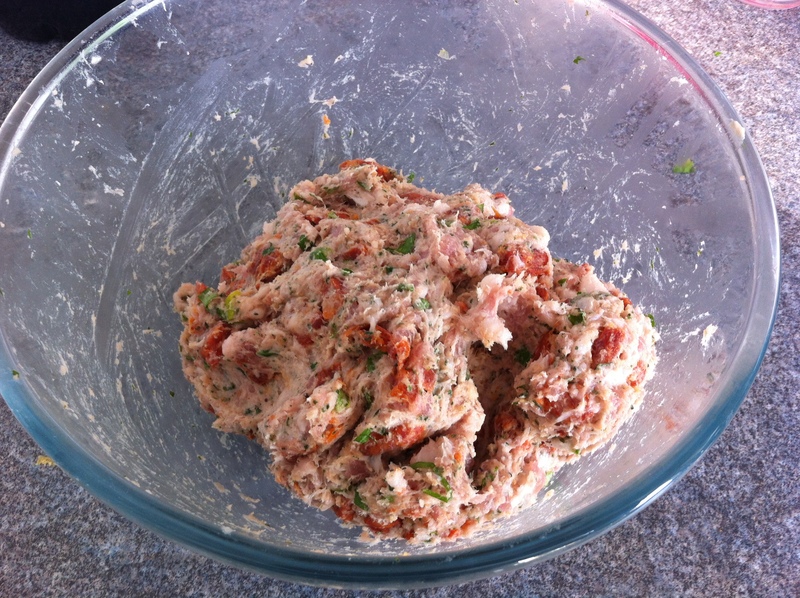 Put the sausage meat in a large mixing bowl and add the parsley, chorizo and breadcrumbs and season with black pepper. 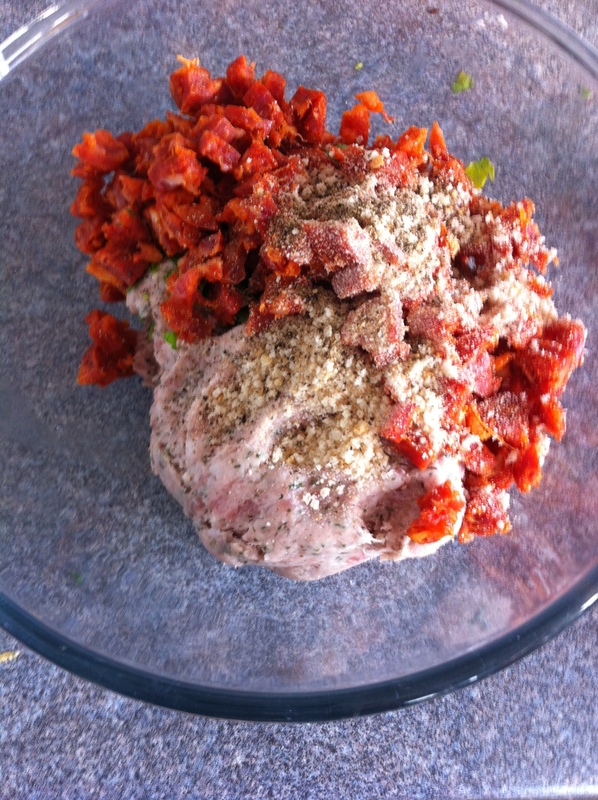 Then mix it all together really well so the chorizo is well dispersed. 3. 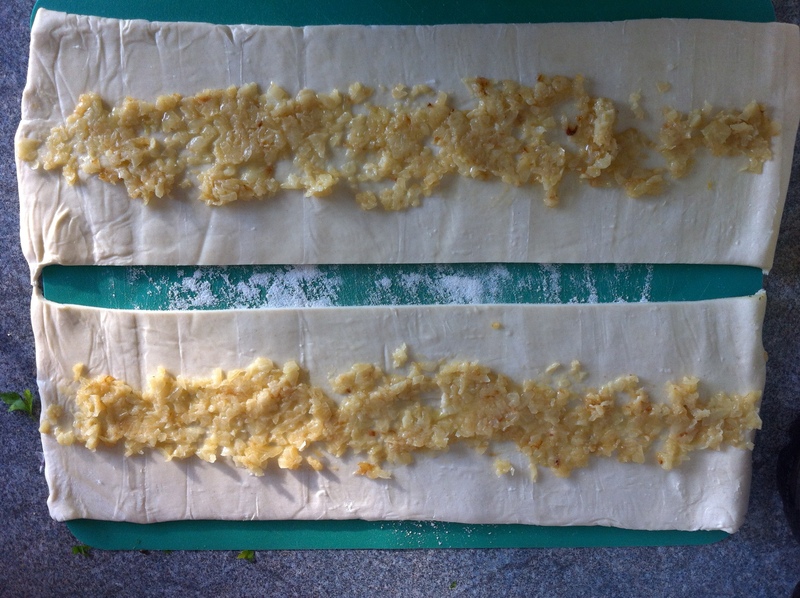 Lay out the pastry sheet on a lightly floured surface and cut in half lengthways. Divide the shallot mix in half and spoon one portion onto each piece of the pastry in a 5cm wide strip lengthways down the centre. 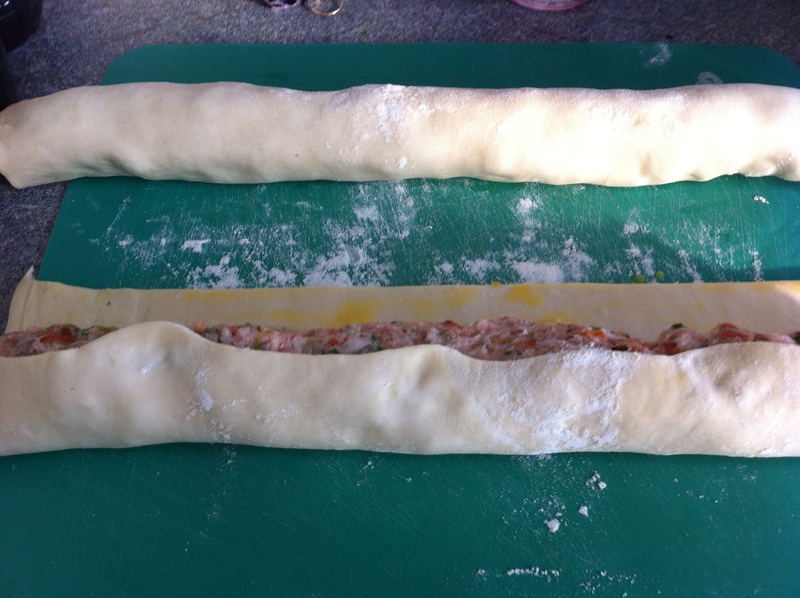 Divide the sausage meat mixture in half and shape each into a sausage shape as long as the length of pastry. The lay it on top of the shallots. Brush the long edges of each pastry piece with beaten egg then take one long edge and roll around the meat and shallots to encase. Pinch the pastry together to join and cut away any excess. Turn each roll over so that the join is underneath. and roll that bad boy, roll! 5. 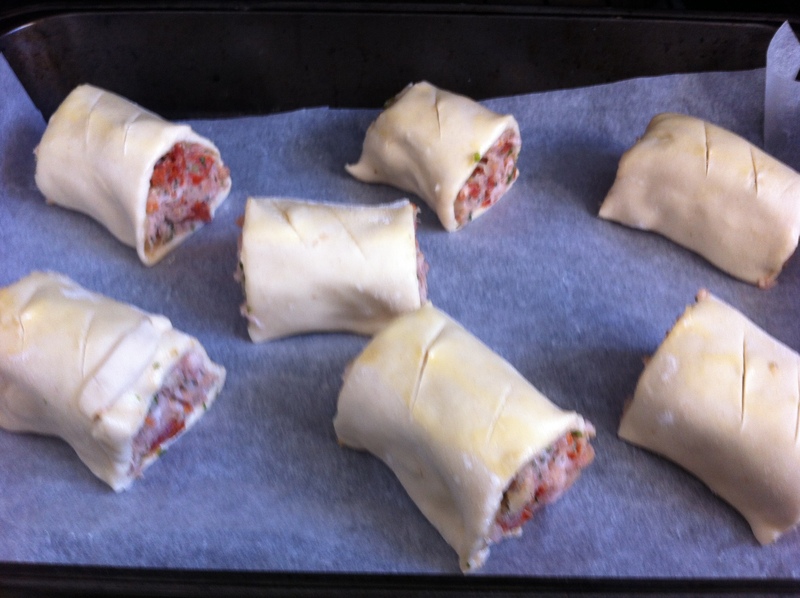 Place the sausage rolls onto the pre prepared baking sheet and bake in an oven for 25-30 minutes. Make sure you give them space on the baking sheet as the pastry will puff up and you don’t want them sticking together. Once cooked all the way through and golden brown remove them from the oven and allow them to cool. Golden brown gorgeous sausage rolls! Serve these delicious sausage rolls as a snack or with a salad or accompaniment to a fabulous picnic. 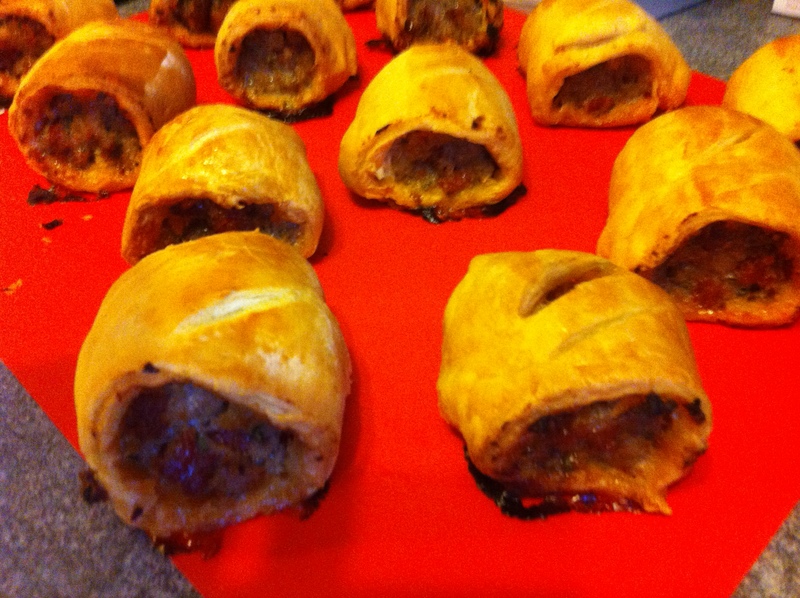 This entry was posted in Brunch, Meat, News, Recipes and tagged chorizo, chorizo sausage rolls, easy recipe, homebaking, homecooking, pastry, picnic recipes, picnics, sausage rolls, spring recipe, summer recipe by Life London Food. Bookmark the permalink.